Cash is old news. The next time your friend or family member covers you for dinner, a movie ticket, or even a night out on the town, there’s an easier and classier way to pay them back Have a Hard Time Tracking Debts With Friends? Use What Do I Owe You Have a Hard Time Tracking Debts With Friends? Use What Do I Owe You Like most people, I enjoy going out to places with my friends. Restaurants, movies, overnight trips, amusement parks, paintballing - you name it and I’ll go. Going out as a group is great but sometimes... Read More — one that doesn’t involve inconvenient dollar bills. Between the well-established Venmo and the newly-revamped Google Wallet, there are two easy ways to instantly transfer money between users. But which one should you use: the tried and true or the fresh newcomer? Here’s what we think. Venmo is so easy to use that you can be up and running in just a few minutes. Once you’ve created an account and signed into the app, all you have to do is connect a bank account, a debit card, or a credit card. Venmo uses bank-grade security and encryption, so no need to worry about that. Once you have a money source connected, you can make payments to anyone as long as you have their Venmo username (if you don’t, you can always search by the recipient’s name in the app). Payments can have notes attached to explain what the payment is for, e.g. dinner or rent. Transfers only take a few seconds. The recipient must have a Venmo account. Be aware that bank and debit payments are free, but credit cards have a 3% fee. 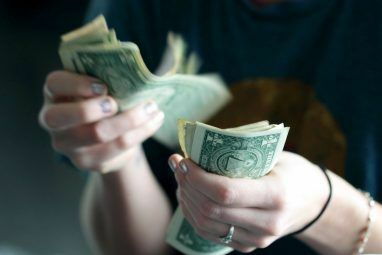 When received, money is stored on your Venmo account and can be used to make more Venmo payments in the future — or you can withdraw it to a connected bank account in as quickly as one business day. Supports bank accounts, debit cards, and credit cards. Payments can have descriptive notes attached. Withdraw to a bank account in as soon as one business day. Semi-social network with a friends list and an activity feed. 3% fee on credit card transactions. Recipient must have a Venmo account to receive. Google Wallet is a new entity now. It used to be a confusing mess, but Google did a great job revamping it into something that everyone can benefit from. Essentially, it’s like a more streamlined version of Venmo with just as much utility. Wallet is a separate account with its own balance. 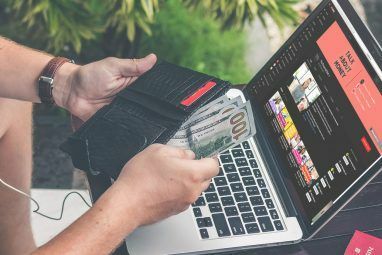 You can connect a bank account or debit card to deposit money, but unlike with Venmo, no credit cards. The good news is that you can send money to anyone, even if they don’t use Wallet. All you need is the recipient’s email address. What’s really cool, however, is that Google provides free “Wallet Cards”, which are basically debit cards that use your Wallet balance instead of your bank account balances. You can order a Wallet Card from right inside the app, and yes, it’s really free. There aren’t any fees, but there is a generous limitation: when sending, receiving, or reloading your balance, each transaction is limited to $10,000 and there’s a limit of $50,000 in any given five-day period. Be careful that you don’t confuse Google Wallet with Android Pay Everything You Need to Know about Apple Pay, Samsung Pay, and Android Pay Everything You Need to Know about Apple Pay, Samsung Pay, and Android Pay Android Pay, Samsung Pay, Apple Pay all have their advantages and disadvantages. 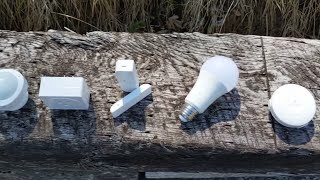 Let's take a look at exactly how each of them works and who can use them. Read More , which is a system for making payments at stores, whether by using NFC terminals What Is NFC & Should You Buy a Phone That Has It? [MakeUseOf Explains] What Is NFC & Should You Buy a Phone That Has It? [MakeUseOf Explains] If you’re in the market for a new phone in 2013, you’re probably going to hear about something called NFC, and how it’s apparently changing the world. Don’t be fooled by the sales talk though.... Read More or just checking out online. Google Wallet, on the other hand, is just for person-to-person payments. Supports bank accounts and debit cards. Makes payments to email addresses (no Google Wallet account needed). 24/7 fraud monitoring that covers 100% of verified, unauthorized transactions. Wallet Card provided by Google for free. No support for credit cards. Transaction limit of $10,000 ($50,000 over any five-day period). It’s a tough call, and the answer really depends on where you are right now and which tool you’re already using, if any. For those who aren’t using either of these apps yet, we recommend going with Google Wallet simply because it can send payments to anyone, even to those who don’t have Google Wallet accounts. This is a hard-to-beat feature, and the provided Wallet Card is a big bonus. For those who are already avid Venmo users with many friends who are also already on Venmo, we recommend that you stick with Venmo. Functionally, it works as well as Google Wallet and there isn’t much reason to switch over. (Unless you really want a Wallet Card, I suppose). If neither of these excite you, then you may want to try a third option in Square Cash. 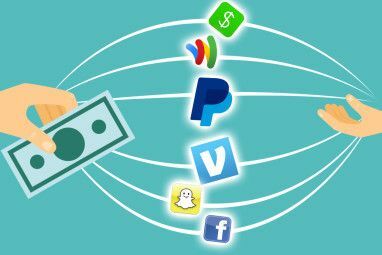 It’s closer to Venmo than Google Wallet, and certainly the least popular of the three, but it’s definitely a viable alternative. These are all so easy to use that you probably won’t care about potential innovations like selfie-based payments Are Selfies the Future of Mobile Payments? Are Selfies the Future of Mobile Payments? Mastercard are trialling payment by selfie. Is the concept the future of mobile payments or doomed to failure? Read More . 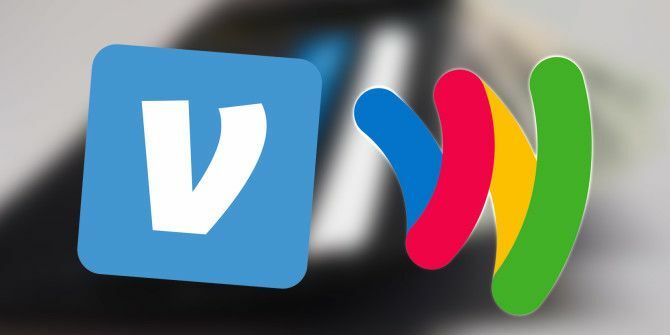 Between Venmo and Google Wallet, which do you prefer? Is there a clear winner here? Share your thoughts with us in the comments below! Explore more about: Google Wallet, Money Management, Venmo. Actually, the winner is MoneyMailMe. I've been using it ever since they introduced no fees transfers. Check it out and stop comparing other money transfer apps. Its really unnecessary. I am continuously trying to update Google play services and apps on my phone but update is not being occurred. An app starts to show its downloading but it starts downloading. You list a Google Wallet con of only $10,000 per transaction and $50,000 over a 5 day period, yet you make no mention that Venmo users start with a $299 rolling weekly limit for all transactions and then once they are verified, their weekly rolling limit maxes out at $2,999. It's not even $2,999 per transaction but ALL transactions that week. So $3K over 7 days for Venmo or $50K over 5 days for Google. Which one is a Pro and which is a Con now? Plus, without being FDIC insured like Google is, Google Wallet is clearly the best bet. Also, listing that you can 'add a description' and 'cash out in one day' as a Pro for Venmo but then not even mentioning that Google Wallet has those same features is a little biased (along with omitting Venmo's limits). From my understanding, Venmo does not keep money in an FDIC insured account, so if Venmo suddenly goes belly-up, your funds might too. Google Wallet balances are FDIC insured. Yeah I'm going to sick to either Wallet or my Chase account to send money. I know absolutely nobody using Venmo. Yeah, no problem with that! Wallet is nice and simple, so good choice. Does this work with currency exchanges too? For example, me in Canada sending $100 CAD to my dad in India to collect in Rupees. (assuming both of us have Google Wallet)? Thanks very much in advance, the various alternatives like Western Union, Bank Transfers etc. gouge me in fees and such so looking for alternatives.